'New Farm', now known as Farley Farms, is more or less the same as in this view, as are the adjacent cottages on the Reading Road. On the other side of Greensward Lane, the line of cottages has long been replaced. There is no sign of the school which was established in the mid-1800's opposite No. 136. The four Parish Cottages opposite 'The Milking Lane' were replaced in the 1960's. 'Pound Coppice' is now known as 'Pound Copse'. Note that Church Lane is now re-aligned towards the east. 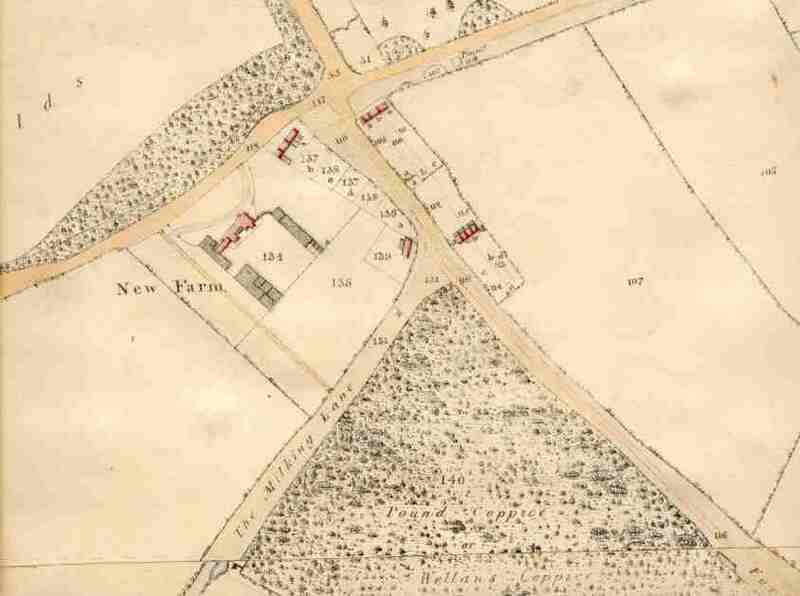 This view shows New Farm and Greensward Lane. Church Lane is now aligned differently.